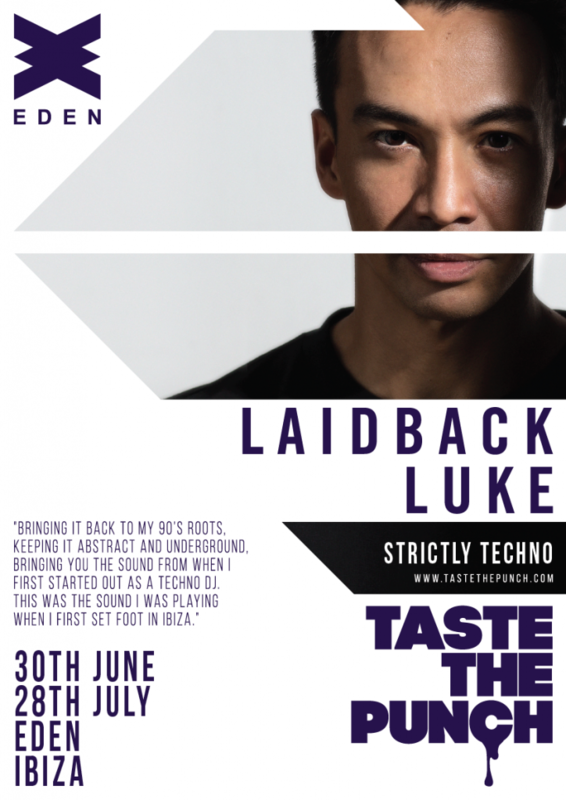 Taste The Punch, the fast-rising UK party promoters from Luton, have announced that Dutch superstar DJ, Laidback Luke, will headline two dates for Taste The Punch Ibiza at Eden, and will perform two exclusive, underground techno sets. These two sets will be a rare opportunity to hear Laidback Luke showcasing his love for techno, the sound he was known for when he first started Djing in the ‘90’s. Exclusive to Taste The Punch, these will be the only techno sets he will play in Ibiza this summer. The headline dates are Friday 30th June and Friday 28th July. Advance tickets can be purchased at www.tastethepunch.com/ibiza or www.edenibiza.com starting from just €25. Laidback Luke is one of the most recognised names in dance music and remains at the forefront of the global EDM explosion. He turned heads at the end of last year by dropping a techno set in New York, going on to remind people that he started out as a techno DJ, and was even resident at the legendary Awakenings parties. Laidback Luke has never lost his love for techno and so has decided once again to treat a select few to a rare techno set, exclusively with Taste The Punch at Eden. 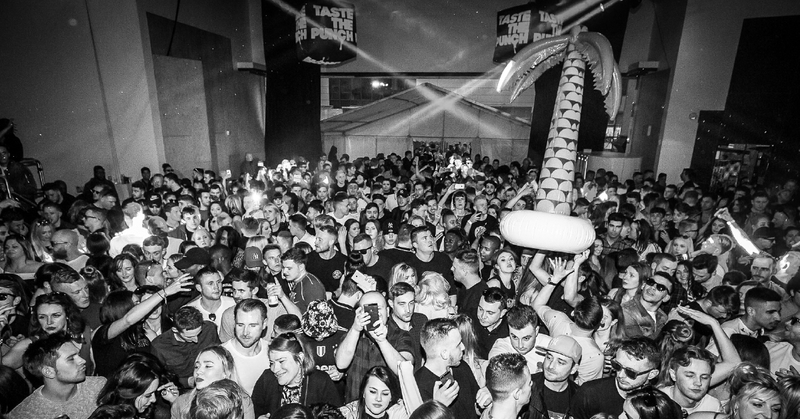 Taste The Punch has become one of the country’s best underground dance events, welcoming such luminaries as Pete Tong, B Traits, Claptone, Annie Mac, Amine Edge & DANCE, Mark Knight, Darius Syrossian and many more to ‘the punchbowl’ turntables. Laidback Luke spinning techno exclusively for the Taste The Punch crowds sums up the attitude and excitement that this young brand will be bringing to the world’s clubbing capital over a 16 week residency at Eden this summer. 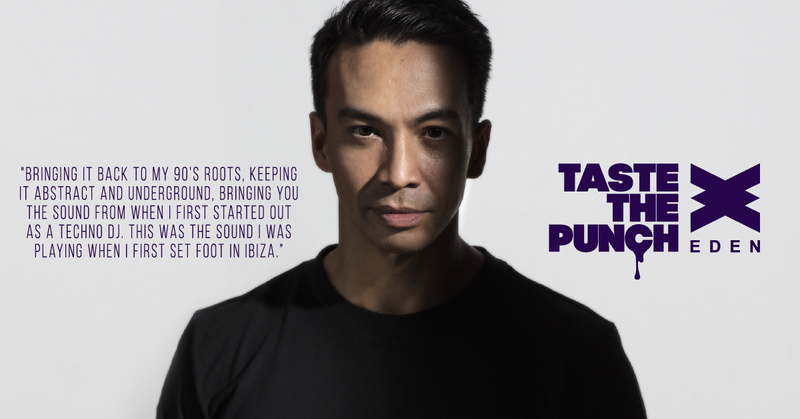 Laidback Luke joins a list of quality artists already announced for Taste The Punch Ibiza every Friday at Eden from 16th June, including Faithless (DJ set), Mark Knight, Tough Love, Monki, Weiss, Icarus, Lee Walker, Marshall Jefferson, Lauren Lo Sung and George Kwali. Further lineup announcements are coming soon.